A man who was buried when a sewer-repair trench caved in has died. He was working outside a West Seattle home. A construction worker was killed Tuesday after a trench collapsed on him in West Seattle, according to the Seattle Fire Department. The man was completely buried in dirt at a construction site outside a home at 36th Avenue Southwest and Southwest Hanford Street around 10:45 a.m. When firefighters arrived, there were indications the man was still alive, but he died before he could be freed, according to a Fire Department spokeswoman. 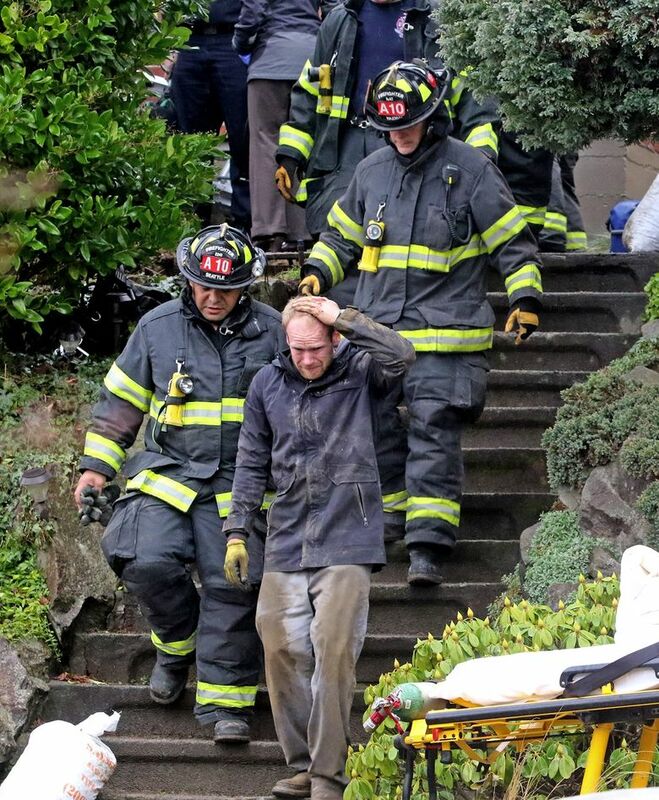 “When firefighters arrived they were going to rescue him, but after 20 minutes from the last sign of life it became a recovery operation,” said Seattle Fire Department spokeswoman Corey Orvold. Orvold said the man was buried in at least 6 feet of dirt. It took crews several hours to recover his body from the site. Orvold said the accident happened during a sewer-repair project. According to a spokeswoman for the state Department of Labor & Industries, the victim worked for Alki Construction. When reached by phone, the wife of the company’s owner said he was too upset to talk. Tuesday’s incident was the first fatal trench collapse in the state since 2008, when two workers died in separate accidents, the Labor & Industries spokeswoman said. Jennifer Sullivan: 206-464-8294 or jensullivan@seattletimes.com On Twitter @SeattleSullivan. Seattle Times staff reporter Christine Clarridge contributed to this story.